Following a brief illness, A.M. Witcher died here Monday November 19 and buried in the Liberty Hill cemetery besides the grave of his wife who preceded him in death 12 years, Tuesday afternoon, Tuesday afternoon, Rev. N.A. Sanders pastor of the Baptist church of which he was a member, conducting the funeral services. Deceased had been an honored and familiar character in the community for more than half a century and a large concourse of friends assembled to pay him their last respects. Born in Pittsville Virginia December 25, 1842, he would have been 86 years old next Christmas day. Surviving children are: W.A. and A.P. Witcher and Mrs. Edna Tumlinson of Liberty Hill, J.A. Witcher of Lampasas, J.M. of Gatesville, Charles of Mertzon, Mrs. Lizzie McSpadden of Lamesa, Mrs. Fanny Hebert of Lake Charles LA., Mrs. Zora Cox of Bertram, and Mrs. Lydia, wife of Edd Witcher deceased and John McSpadden husband of Ella Witcher deceased of Lamesa. Brothers and sisters living: Clay Witcher age 84 of Bells Texas, Rufus age 82 of Childress, Mrs. Mart Craig, Bells, age 79, and Mrs. Fannie Booth age 92 who lives in Virginia. Fifty grand and 24 great-grand children are living. The children all except the daughter in Louisiana, and many of the grand-children from various and distant parts of Texas, were here. 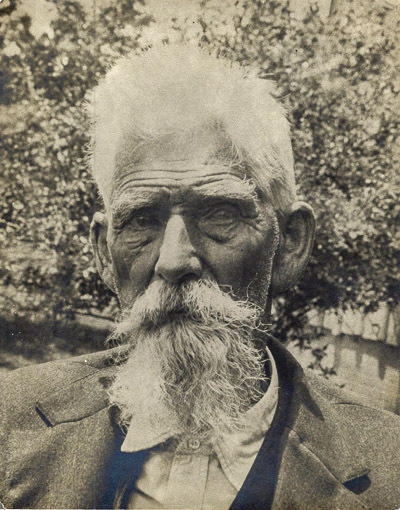 Armistead Melville Witcher, son of William Witcher and Elizabeth W. Gilbert, was born on 25 Dec 1842 in Pittsylvania County, Virginia. He died on 14 Dec 1928 in Liberty Hill, Williamson, Texas, United States (Died of a stroke). He married America Ann Holland on 12 Aug 1869 in Bonham, Fannin, Texas, USA. She was born on 24 Apr 1852 in Caldwell, Kentucky, USA. She died on 20 Sep 1916 in Liberty Hill, Williamson, Texas, USA (Age: 64).